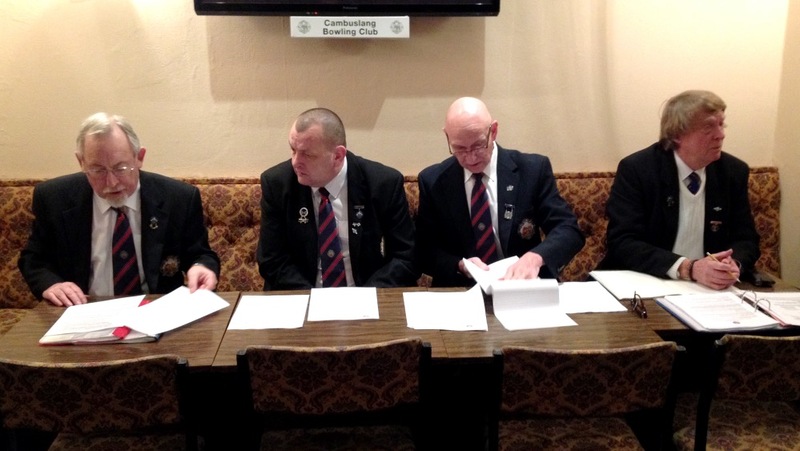 Feb 10th 2015, 7:30pm Club AGM. NEW Club President Richie McInall Sen.
4d) Board of Directors, shall consisit of four office bearers and six elected members. Five shall form a quorum. 6b2) General meetings written requisition signed by no fewer than 10 members. 6c) At all General Meetings, twenty (20) shall form a quorum. Please be advised that there is a Garden Clean Up Day on Sunday 29 March starting at 11.00am, at which time all help will be greatly appreciated. If anyone has any spare plants we could have, please bring them along. Our sincere thanks to Glenda Montgomery and the MacFarlane family. The sum of £1681.39 was raised for charity of which £1381.39 went to MND Scotland and £300 to the over 55’s Scotland squad to help supply boots and strips to children in Thailand. 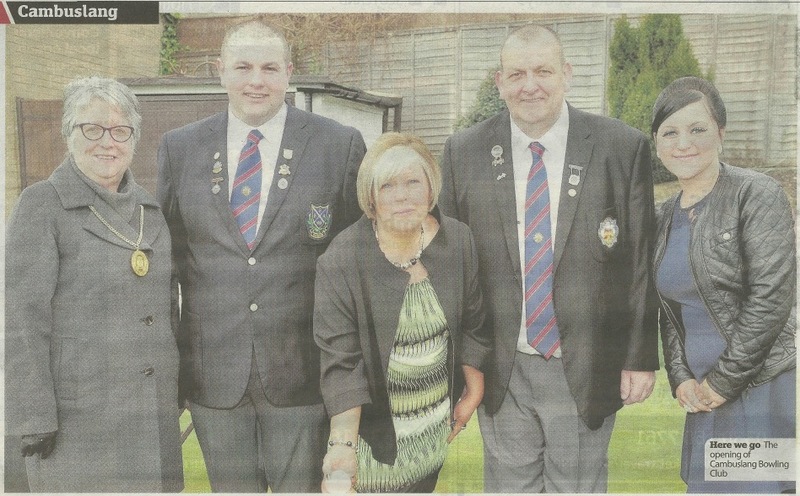 The bowls competition final was won by a mixed rink from Carmyle & Halfway bowling clubs. Of course without the fabulous support of local businesses and friends this wouldn’t have been possible and our sincere thanks to :Asian Tandoori, Black Bull, Cambuslang Masonic 114, Chillies, Christine McNeil, Hoover Scott Crichton, James Coyle motor engineers, John & Sadie MacFarlane, Kirkhill Rangers supporters bus, Lucky Oriental, Mary Brogan florist, Marion’s hairdresser, Maestro, Night Star, Pandora’s box, Ralph Caldwell, Sandra Keary, Spanarama, Tandoori Knights, The Tea Bay and others. 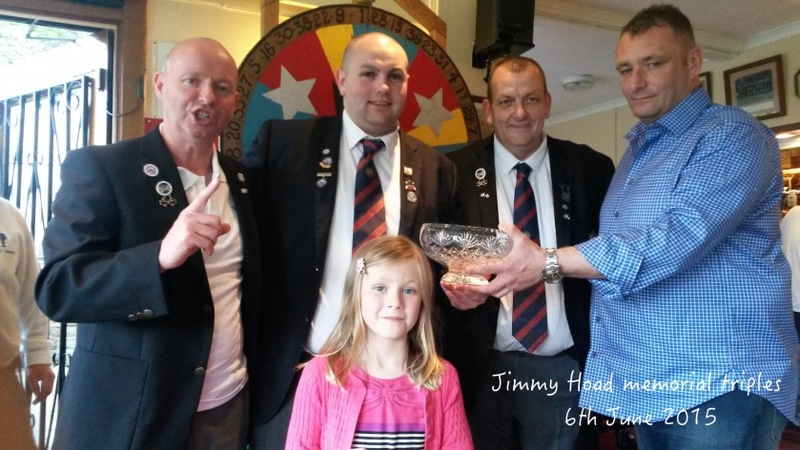 Sixty bowlers gathered for the annual Jimmy Hoad Memorial Triples at Cambuslang and were relieved to find weather rather better than forecasts suggested. After a round robin and play-offs, the final was played between the McGovern brothers, John, Tom and Hugh, from Strathclyde Park BC, and Alex Hay, Vice President Richard McInall Junior and President Richard McInall Senior, all of Cambuslang, the Cambuslang team triumphing in an excellent final. Our thanks to Jimmy's son, sponsor Stewart Hoad of Hoad Bulk Transport for his continued support of this popular event. Every year, he goes the extra mile to make this a day to remember for all contestants. Also thanks to the match committee. Singles championship Brian Page and Triples championship John Mitchell, Ian Skillen & Jim Kirk. 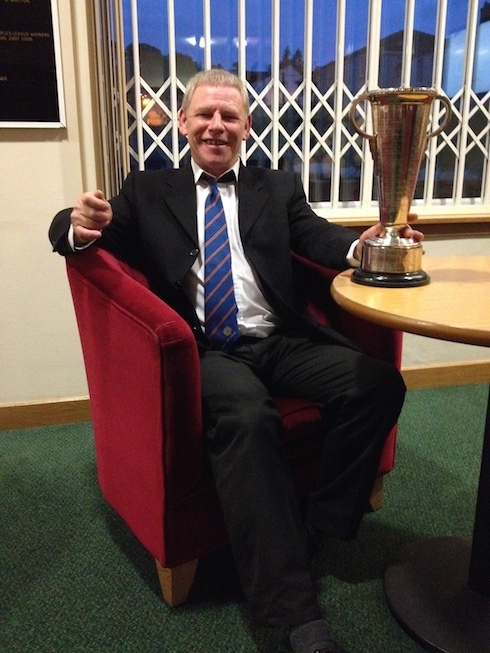 Our triples team were runners-up to Rutherglen BC and against Kirkhill BC our singles player was triumphant.